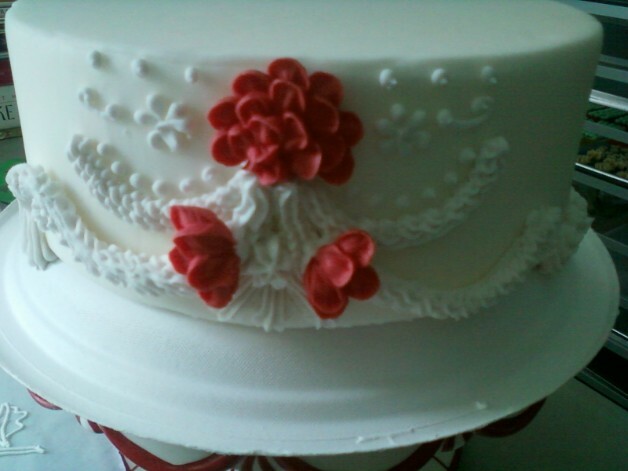 FOR COMPLETE STEP BY STEP IMAGES OF THE CAKES FEATURED HERE PLEASE GO TO MY TUMBLR, AT http://bakingbreads.tumblr.com It may take time for me to post some of them but i promise you that they will be there. Thank you. 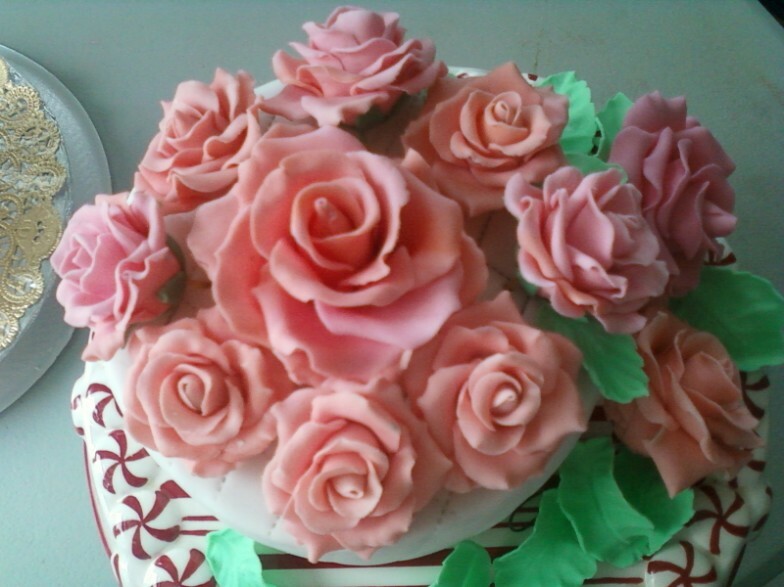 Free Cake decorating ebook for cake deco students ALSO with video on how to make Royal Icing, Buttercream and piping basic Rose and flowers, how to make Gumpaste and Fondant. Please bring a 32 GB or more USB with you. 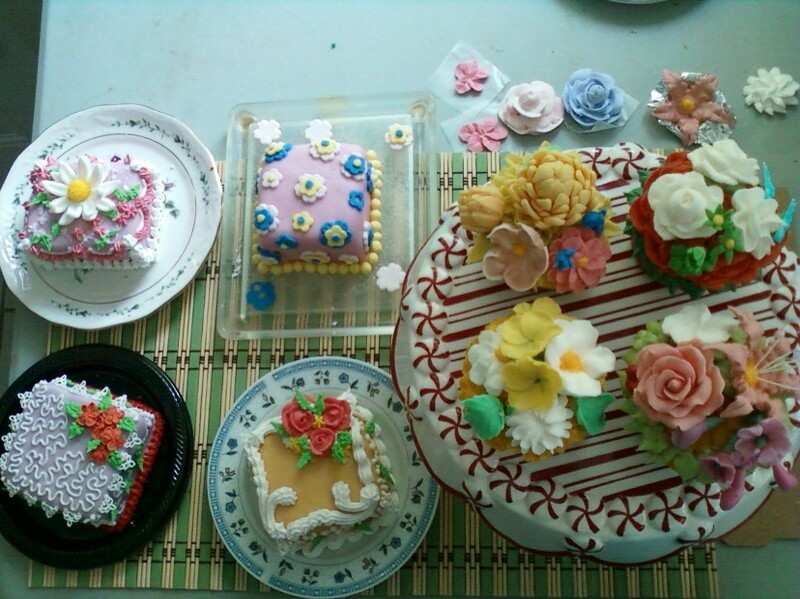 Cake Deco class with my former bread making student Anna and her family last Nov.30. 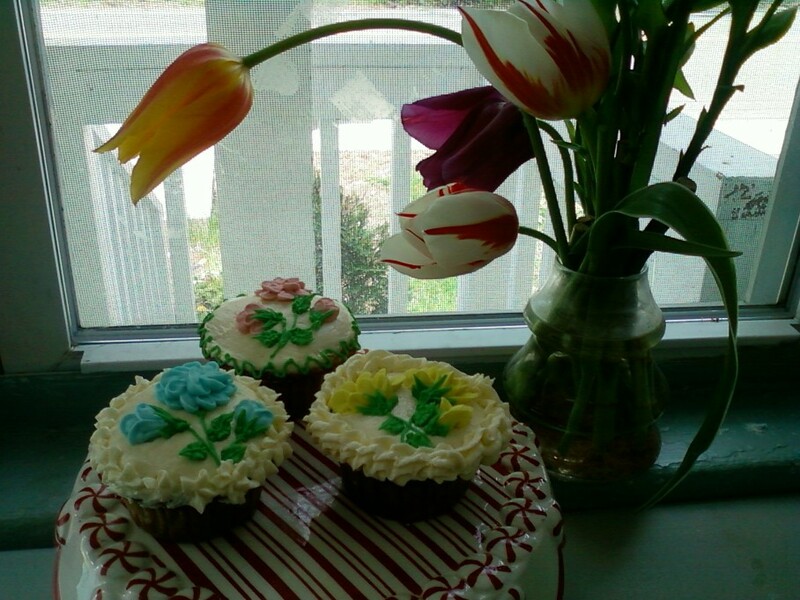 We used Red Velvet Cupcakes, decorated them with Gumpaste and Royal Icing Flowers which they made the same day. 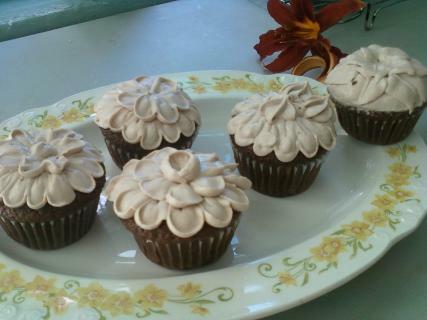 This is my 1 day Cupcake Deco Class, you too can enroll in this class for only P3,000.00/person, inclusive of the ingredients. You just need to bring at least 6 cupcakes to decorate. 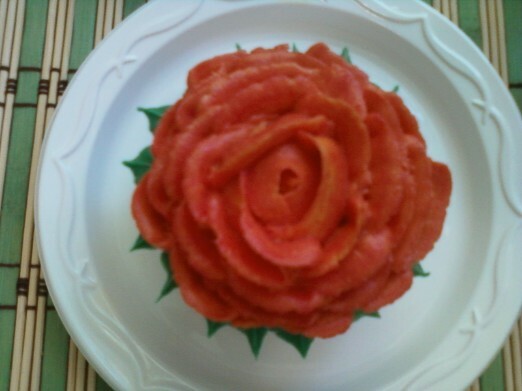 You will learn how to pipe flowers in Royal Icing and make basic Gumpaste flowers especially Roses. 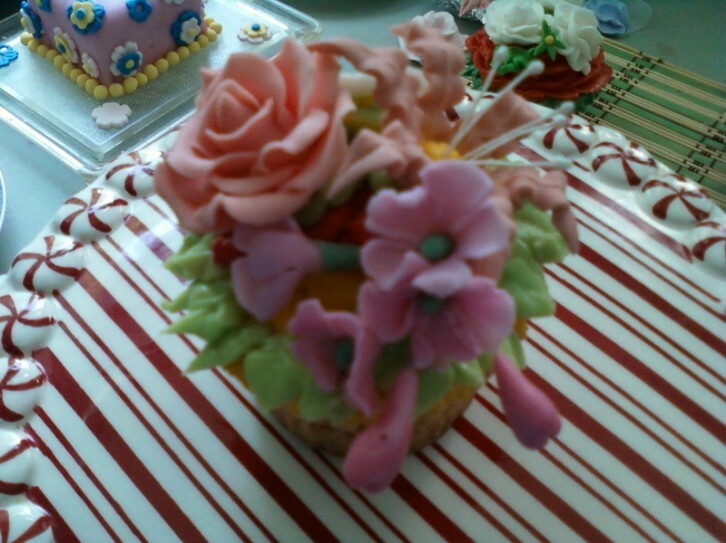 An assortment of Royal Icing flowers, Daisies and petite Roses, on Chocolate and Butter Cupcakes. 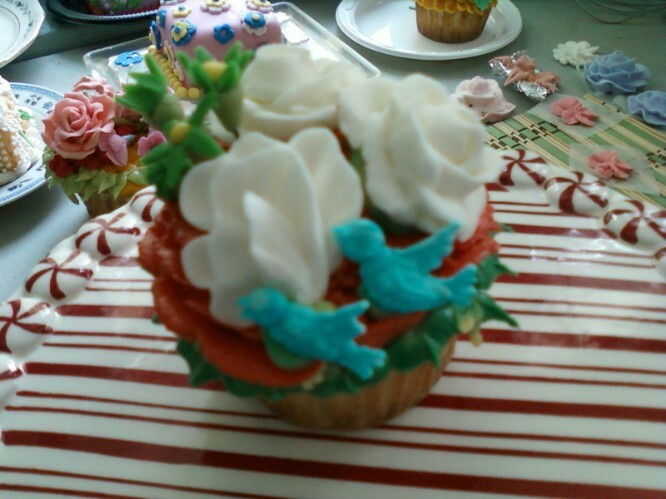 Piping Roses and other flowers such as the dropped flower using tip 2D will always stay with you even after you pause for awhile. My niece Angelica had to have a flower piped on her nose just so i can finish my work. 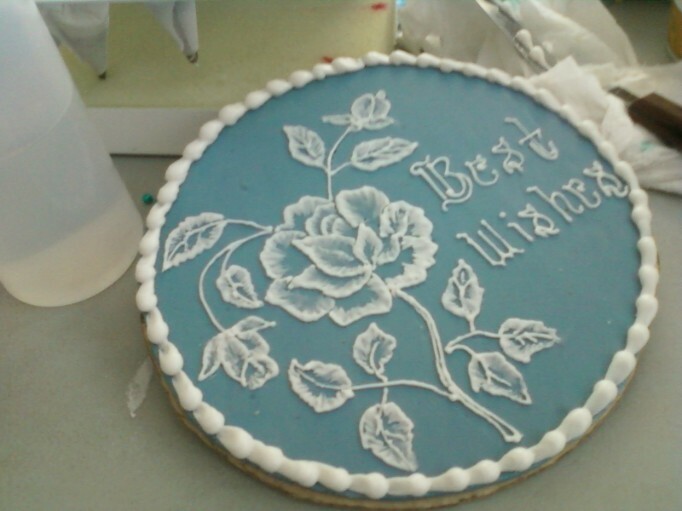 Still one of my favorites, Roses in Royal Icing is a darling. 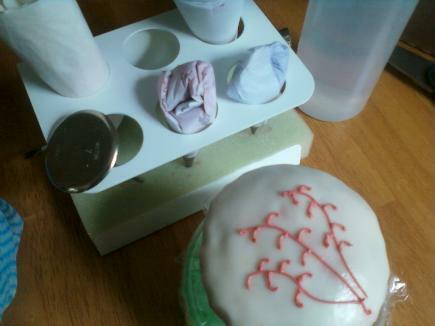 NOW OFFERING ONE DAY LESSONS ONLY OF BUTTERCREAM, ROYAL ICING AND GUMPASTE/FONDANT. 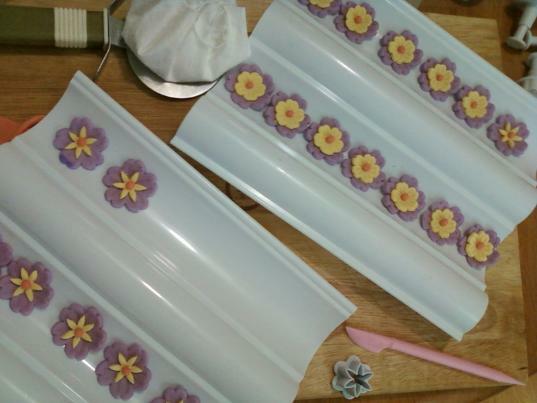 I promise to post step by step images of these flowers on top, my pinky finger got stiff after just 2 days straight of piping but i loved every minute of it, i slept like a log afterwards. 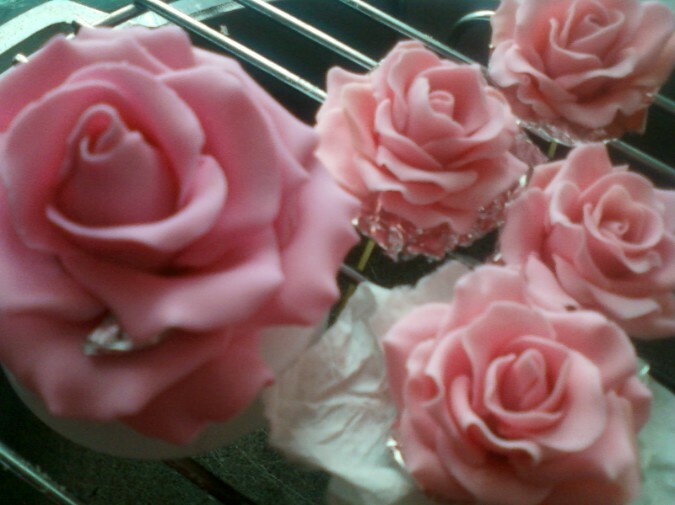 These are flowers to be used for my niece's 18th birthday and i am making them 2 weeks ahead. 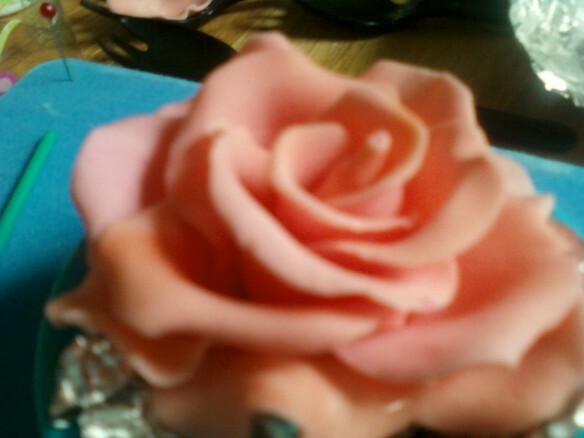 Gumpaste flowers using just one type of cutter, please go to my tumblr account to see complete photos. 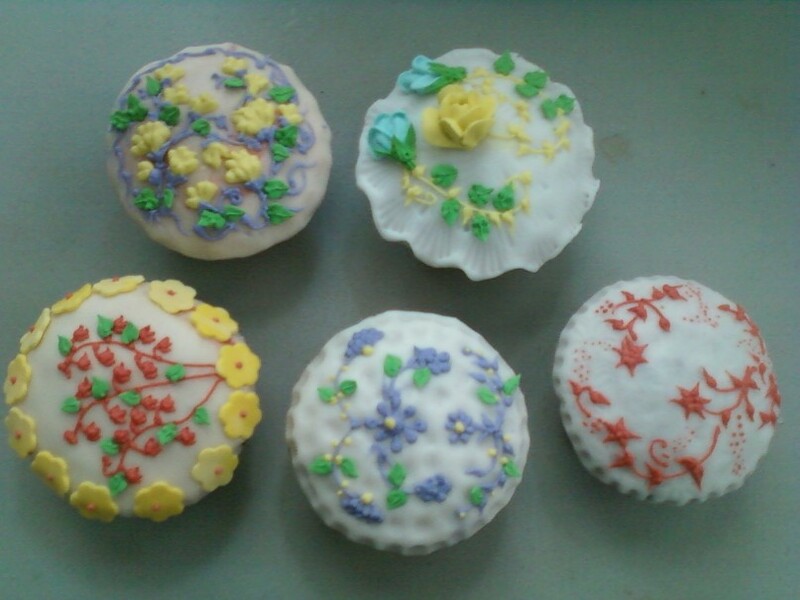 I was able to make 10 kinds of flowers using just a Daisy cutter, Large, Medium and Small. I think i am good for 10 more designs using the same cutter. Pretty neat huh! 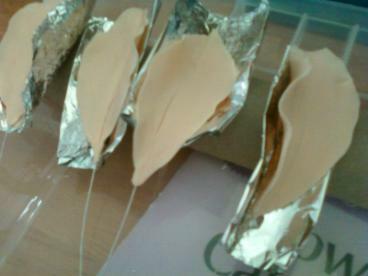 Dried up ready made Royal Icing Roses. 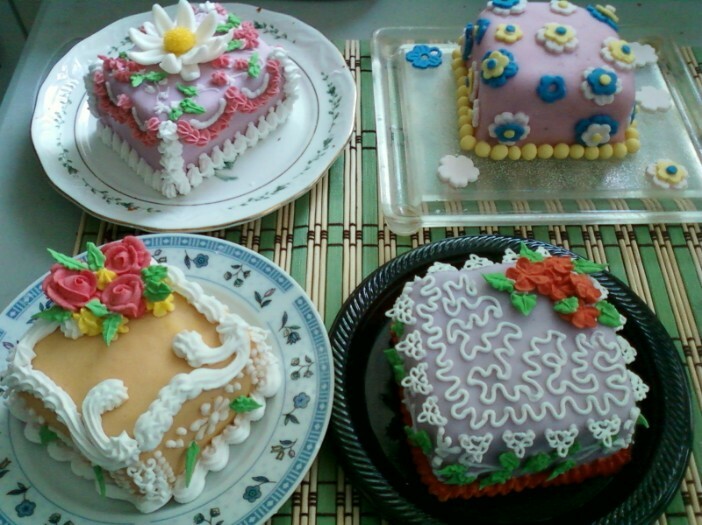 A combination of all the cake decorating styles you can possible have on just a plain cake. 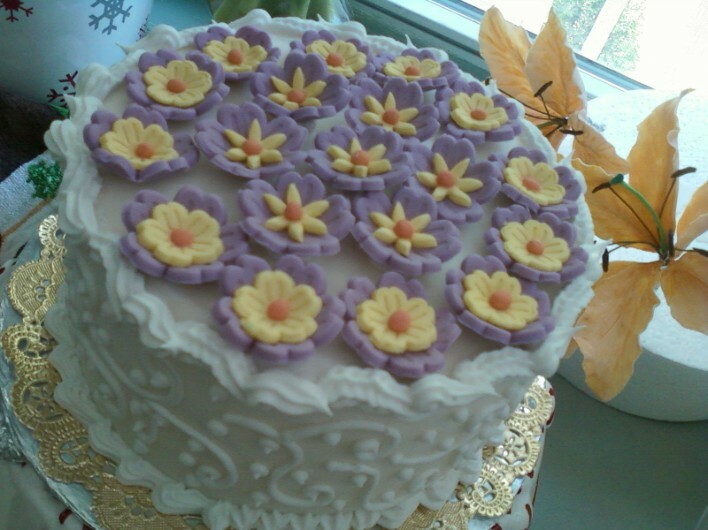 Buttercream based, with gumpaste and royal icing flowers. 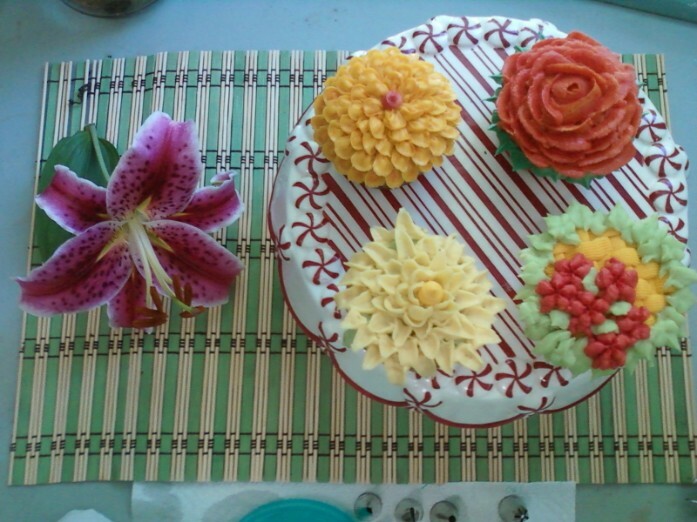 Cutter flowers and free style flowers are fun to mix and match, so making flowers in different colors and sizes helps when you build your cake/cupcakes. 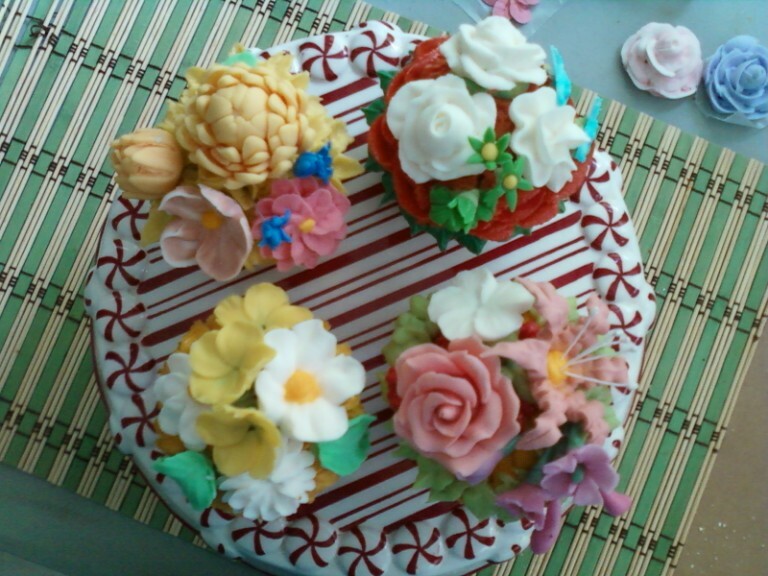 BELOW ARE SAMPLES OF COMBINATION OF ROYAL ICING, GUMPASTE AND BUTTERCREAM TECHNIQUES AND FLOWERS. 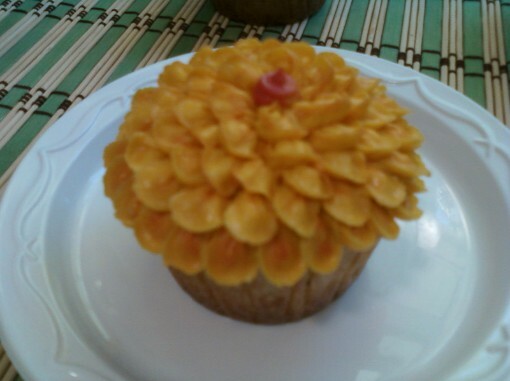 THE YELLOW FLOWER IS MADE OF GUMPASTE, THE WHITE DAISY IS ROYAL ICING, AND THE BASE ARE PETALS OF DAFFODILS IN BUTTERCREAM. Royal Icing Brush Embroidery, Cake Topper Day 2 of the ROYAL ICING CLASS, ADVANCE TECHNIQUE TOGETHER WITH EXTENSION WORKS AND BRIDGE. 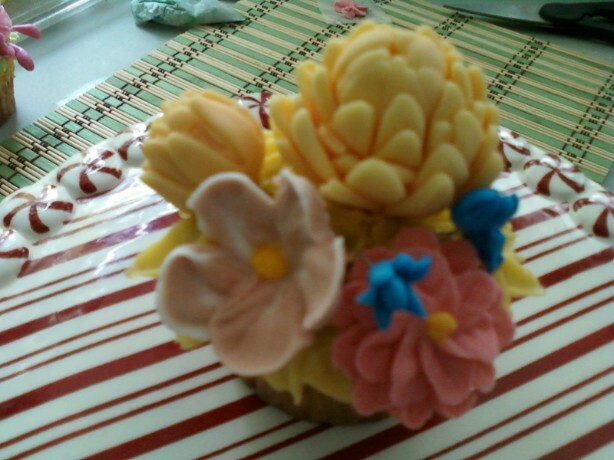 YELLOW MUMS ARE MADE OF GUMPASTE, THE PINK VIOLET AND DAISY FLOWERS ARE MADE OF ROYAL ICING, THE BLUE SPRAY FLOWERS ARE MADE OF GUMPASTE, OVER A BASE OF BUTTERCREAM FLOWER. 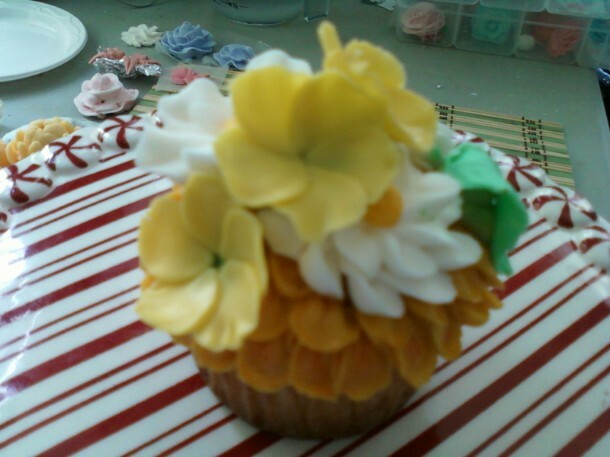 This is my number one favorite arrangement, with pulled flowers and gumpaste, Royal Icing Lily. 100% buttercream, on Cheesy Cupcakes. Trying to retrieve the photos for the rest of this cake project, so please bear with me as i seemed to have lost where i placed them. This is what happens when you are not a techie when it comes to computer. My bad, girls. 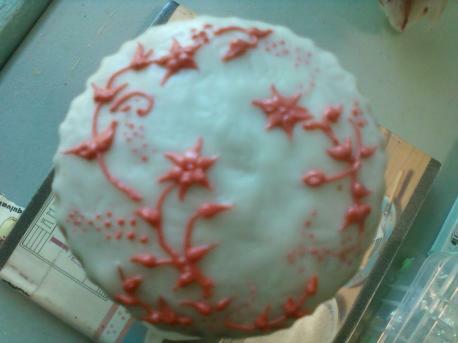 This is also Royal Icing. 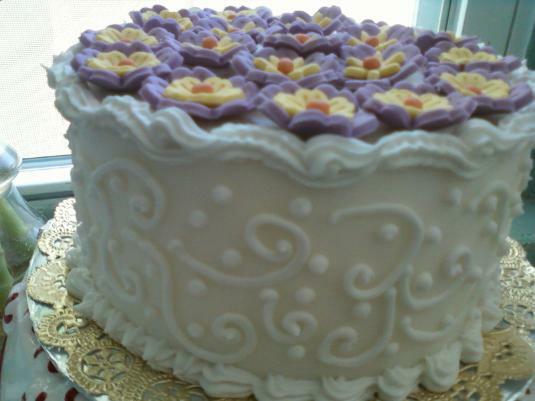 Above is a Royal Icing decorated fondant cake, whimsical with scrolls at the top border. I chose white because the flowers i am putting on top are too colorful enough so i want the focus first on the top, then down to the simple yet elegant sides and borders. 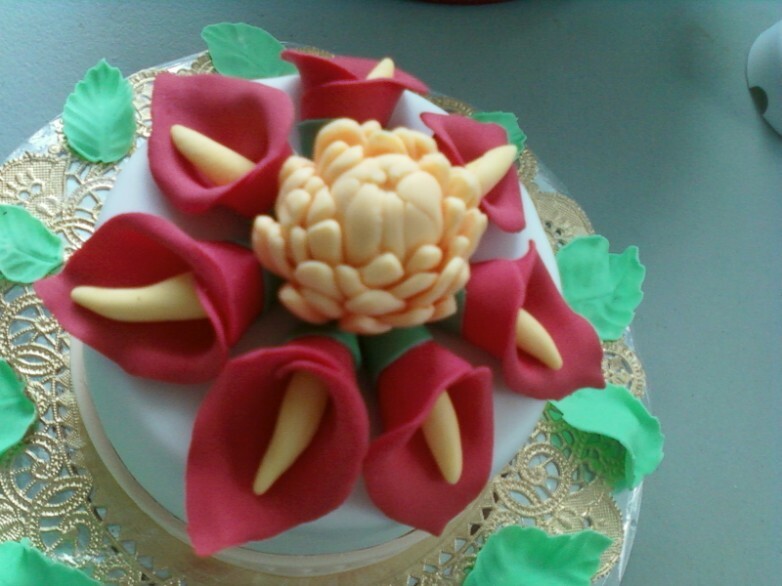 the flowers on top are made of gumpaste which i dried for 3 days. 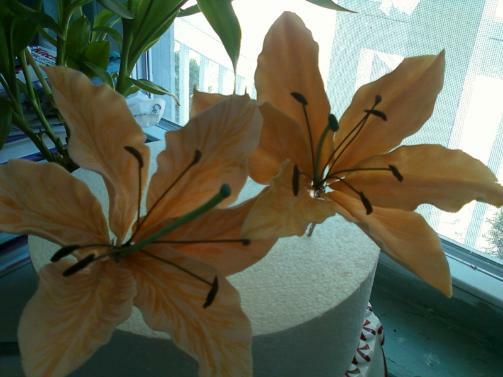 Below is my attempt to make large Lilies, i have no #30 wire so #26 just do not work that well, it pierces the gumpaste. 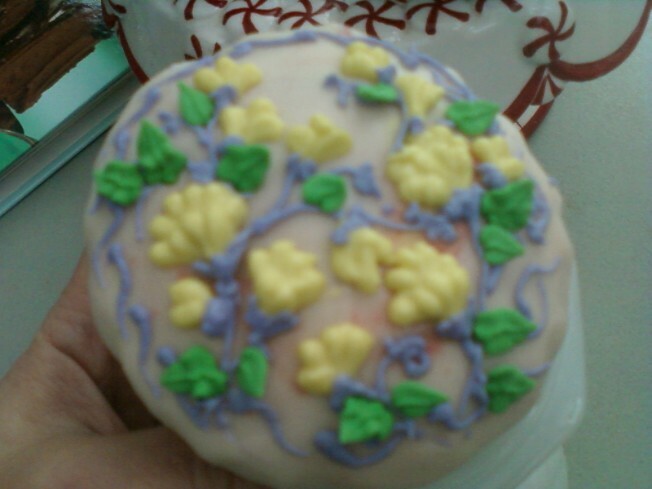 I also did not use the petal dust, but just paste food coloring for fun, not putting these flowers on anything anyway. 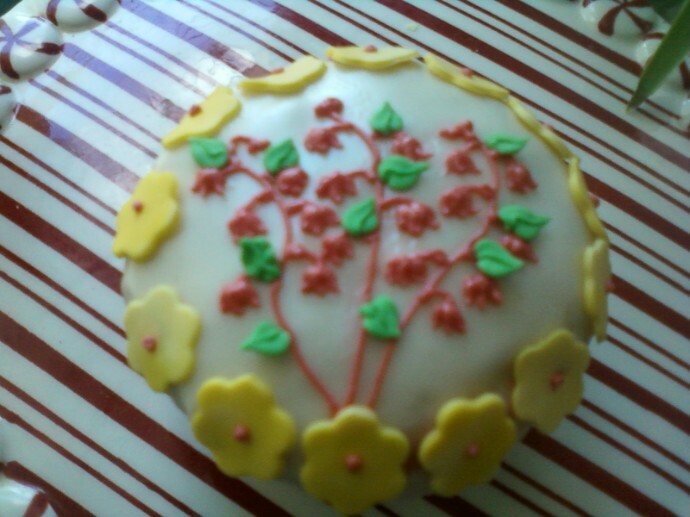 I did not use any Lily cutter which you can buy of course.